Dr Akshi Arvind completed her BDS from Bharti Vidyapeeth Pune in 2010 and then went to UK for her Masters in Prosthodontics Even though Dr Ajaya Kashyap is the only member in India to be a part of the elite American Society of Plastic Surgery, he never allows this accolade to get to his mind. He is very down to earth individual whose aim is always to bring the best in him so that his patients can benefit from it. Dr Aman Dhillon did her BDS from Kasturba Medical College, Mangalore and D.D.S from University of the Pacific, San Francisco in 2002. She practised dentistry in California for 7 years and was then associated with Dental department at Fortis Hospital Mohali for 5 years before joining FMRI. She is proficient in all fields of dentistry with emphasis on General & Cosmetic dentistry. Dr. Aval Luthra, is specialized in the field of Orthodontics and Dentofacial Orthopaedics which delivers better and fuller smiles to people, going a long way in helping them perform better in their social and professional lives. With a diverse experience spanning over 6 years; handling children and adults with moderate to severe discrepancies, he has also had the opportunity to be a part of multidisciplinary teams treating complex cases such as those requiring orthognathic surgery and cleft repair. Dr Ekta Chadha is a young dynamic smile specialist with excellent flair for aesthetic dentistry. She has over 19 years of experience and is currently working as a consultant at Fortis Memorial Research Institute, Gurgaon. Dr Ekta Chadha is a graduate of Buddha Institute of Dental Sciences & Hospital; ex resident Maulana Azad College, Lok Nayak Hospital, New Delhi and did her post graduation from USA. She has worked at Max hospital for six years with a special interest in preserving and designing smiles. She has written several articles in the leading magazines and newspapers in New Delhi and has keen interest in setting up many more studios to give many people a reason to smile. Dr. Gagan Sabharwal is a Consultant Maxillofacial and Cleft surgeon in the Department of Dental Sciences. He did is post graduation in Maxillofacial Surgery from Rajiv Gandhi University, Karnataka followed by fellowship in cleft lip and palate from German cleft children's aid society (DCKH) Center in India. Head and Neck Cancer training from Tata Memorial hospital Mumbai and Regional Cancer center, Trivandrum, Advance training in oral implantology for Alfa Bio Tec Israel.An internationally credentialed Oral and Maxillofacial surgeon with Operation Smile Inc, he is also a surgical volunteer for Alliance for Smile and Rotaplast. Dr Guneet Gogia did his Post Graduation in Periodontics from KLE institute of Dental Sciences, Belgaum. He has more than 6 years of experience in treatment of gums related problems and has several publications to his name. Dr. Jyoti Sachdeva did her post graduation from KLE institute of dental science Belgaum. She has worked in various Hospitals like Artemis and is constant at various clinics in NCR. She has more than 6 years of experience in Endodontics . She has several National and International publications to her name. She is also editorial member in journal of medical thesis . Dr. Pahwa, a Periodontist, started his career in Dentistry in 1992 and was awarded B.D.S. from K.L.E.S Institute of dental sciences, Belgaum in 1998. He pursued his specialization in the year 2008. He has more than 15 yrs of experience in the field of general dentistry. Being a Periodontist, he specialises in Flap Surgeries (gum surgery), Frenectomy, De-pigmentation and Gingivectomy etc. His areas of interest are implants as well as aesthetic dentistry. Dr Rajni Sharma did her Bachelor's in Dental Sciences from Guru Nanak Dev Dental College, Sangrur Punjab. She has worked in various private clinics and also has been associated with Alchemist Dental centre. She has more than 10 years of experience in General and Cosmetic Dentistry. Dr. Ravi S. Batra did his Post Graduation in Maxillofacial Surgery from Rajiv Gandhi Univ. Of Health Sciences, Bangalore. He has more than 14 years of experience in managing Maxillofacial Surgical cases and Dental Implants. He has several National and International publications to his name. Dr. Ritika Malhotra completed her B.D.S. from Subharti Dental Collge (Meerut) and Post Graduate certification in Cosmetic Dentistry from New York University. 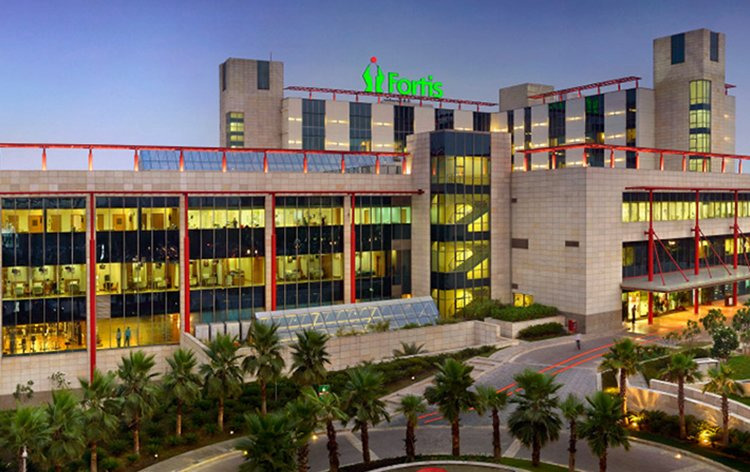 Prior to joining Fortis, she was the centre head at Axiss Dental, Apollo and Columbia Asia in Gurgaon. She has attended numerous certified courses and has also written article for a leading Dental journal. Her specialties include aesthetics and smile design. Dr. Roli Bawa did her BDS from SDM College of Dental Sciences Dharwar, Karnataka and MDS from College of Dental Sciences, Davangere, Karnataka. Prior to working with FMRI, she has been associated with various hospitals in India as Columbia Asia Gurgaon, and abroad (East Africa and Oman). She has 9 years of experience in endodontics and general dentistry. Dr. Rupender Goel did his graduation and post graduation from A B Shetty Memorial Institute of Dental Sciences, Mangalore in 1998. Since then he is practicing exclusive Orthodontics in New Delhi .He practices all techniques in Orthodontics and has constantly updated himself with all newer advances in his field. He has more than 17 years of experience in orthodontics. Dr Shweta Malik Chawla did her Bachelor's in Dental Sciences from Saraswati Dental College Lucknow. She has worked in various hospitals like Ram Manohar Lohia Hospital (Delhi) & Nova Hospital (Lucknow). She has more than 8 years of experience in General and Cosmetic Dentistry. Dr Vineet Ohri did his MDS in Endodontics and Conservative Dentistry from C.O.D.S. Manipal. He has worked in various hospitals like Apollo Indraprastha, and Fortis Hospital, Vasantkunj. He has more than 20 years of experience in Endodontics.  He is also the Member of Indian endodontics Society. Dr.Yatharth Bhatia did his Masters in the field of Dental & Maxillofacial Prosthetics from Sri Ramachandra University, Chennai. He has been into private practice for 8 years and is associated with Fortis Hospital for the past 3 years. He is an active member of The Indian Prosthodontic Society and Academy of Oral Implantology.